Article 4 of the Energy Efficiency Directive (Directive 2012/27/EU) on building renovation has recently been transferred to the EPBD. 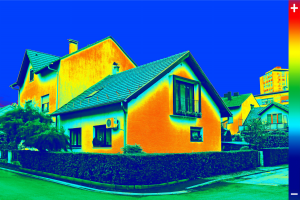 EPBD article 2a, related to long-term renovation strategies, shall accelerate a cost-effective renovation of existing buildings towards a highly energy efficient and decarbonised building stock. The article is complemented with new paragraphs, inter alia, regarding the vision of a decarbonised building stock, the requirements for the mobilisation of investment into renovation, and public consultation on the long-term renovation strategy. Beyond that, the EPBD requires that the long-term renovation strategies address energy poverty and wider benefits such as health, safety and air quality. All Member States are obliged to submit their 3rd long-term renovation strategy by 10 March 2020. Therefore, CT4 of the CA EPBD accompanies the implementation of the long-term renovation strategies and improves and increases the exchange of information and experience on national implementation processes between the individual Member States. Within the framework of the CA EPBD, strong links to CT3 on existing buildings and CCT2 on smart finance exist. Relevant questions to be covered within the plenary meetings will be: How to set up a roadmap including milestones and indicators? How to address the social aspects of building renovation and energy poverty? What are different formats of one-stop-shops to accelerate the building renovation?